Venue: Wuhan Sports Centre Gymnasium, Wuhan (China). Entry is Paid. *Box scores are updated very two minutes. Please refresh page for latest scores. 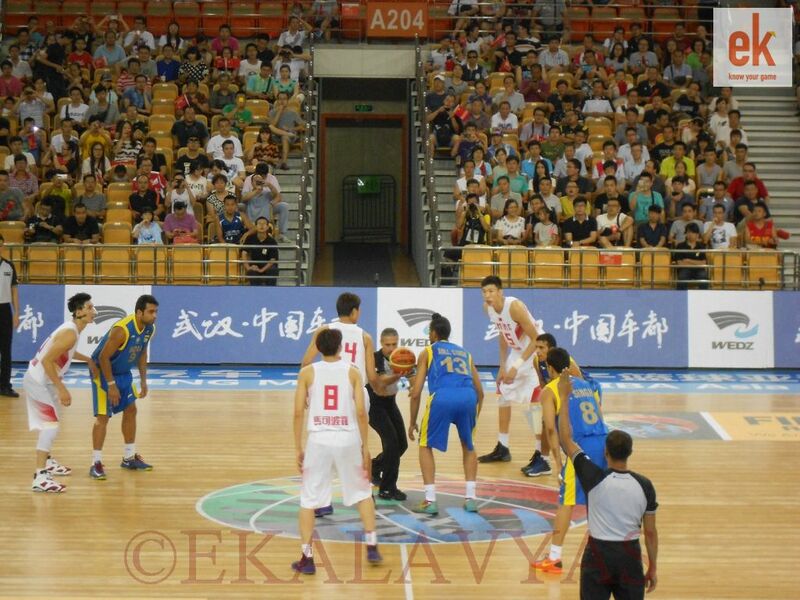 Wuhan, China: Last game was last game, and today would be a fresh challenge. Less than 24 hours after making history and defeating the mighty Team China on their home court, India reminded the tournament fray that their achievement was no fluke with a dominating victory over Indonesia. 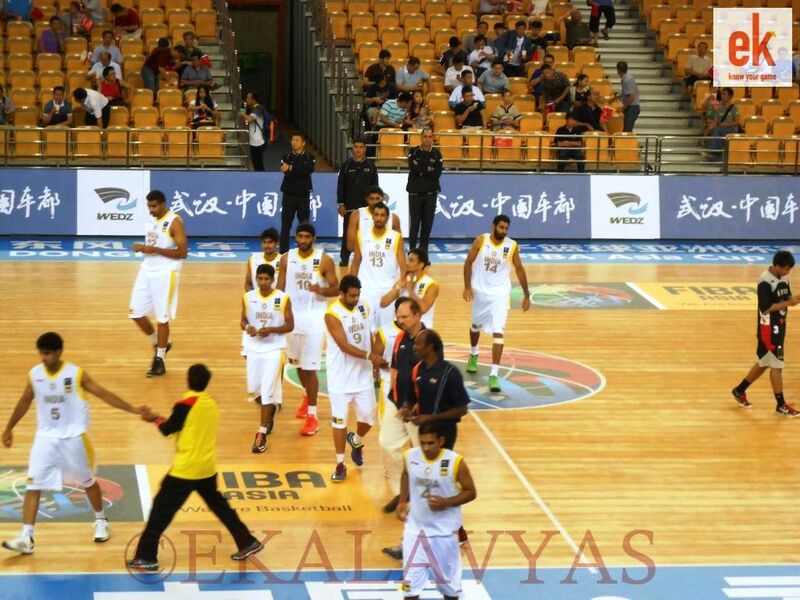 The win puts India at five points with a 2-1 record at the 5th FIBA Asia Games in at the Wuhan Sports Center in Wuhan (China), and sees them ensure qualification for the tournament’s Quarter-Finals. Team India seemed to be brimming with confidence from the early tip, still overjoyed by the victory over China a day earlier. But they didn’t take their opponents on Monday night for granted, going on a 12-0 run early in the game and creating several points off Indonesian turnovers to take a big early lead. Vishesh Bhriguvanshi was especially dominant for India, scoring 12 of his 16 points in an unstoppable first quarter performance. The team as a whole showed considerable skill sharing the ball, making the extra pass, and always making sure to find the right shot on the offensive end. On defense – which has become India’s calling card – India did enough to smother Indonesia, holding their opponents to less than 26 percent shooting all game and forcing 18 turnovers. 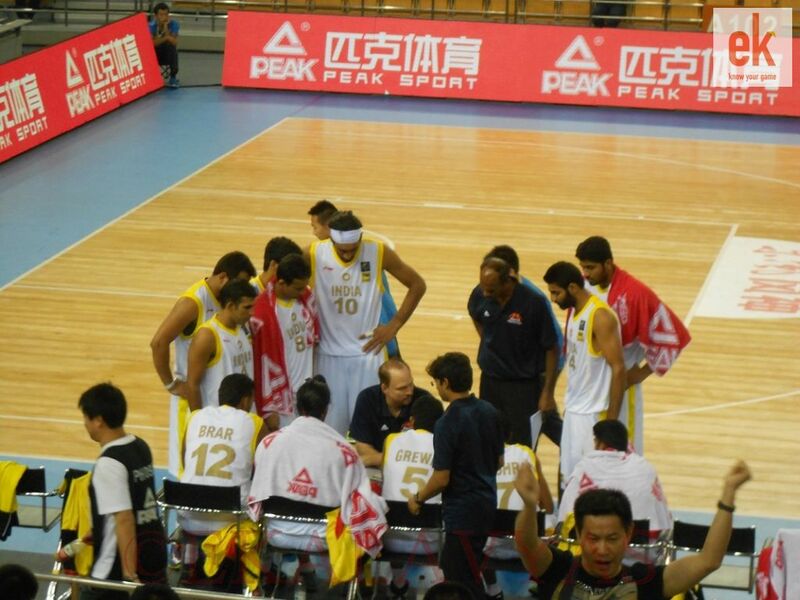 Indonesia, a much smaller team than India, tried to use their speed and shooting to overcome India’s size. They played major portions of the game with three quick guards, but India’s exceptional transition defence kept Indonesia at bay. In half-court defensive sets, Amrit Pal Singh continued to protect the rim and should truly be considered as one of the best defensive players in all of Asia in the tournament so far. India turned the game into a blowout by the second quarter, going into the halftime break holding on to a massive 49-20 lead. Despite this, they didn’t let up in the final two quarters of the game, and outscored Indonesia in the run up to the finish to win by 36 points. Aiding Bhriguvanshi’s efforts for India was Prasanna Sivakumar, who also had his best game of the tournament and poured in 15 points for India. Amjyot Singh scored 12 of his 14 points in the fourth quarter, while Prakash Mishra added 13 for India, including nine from the three-point line. 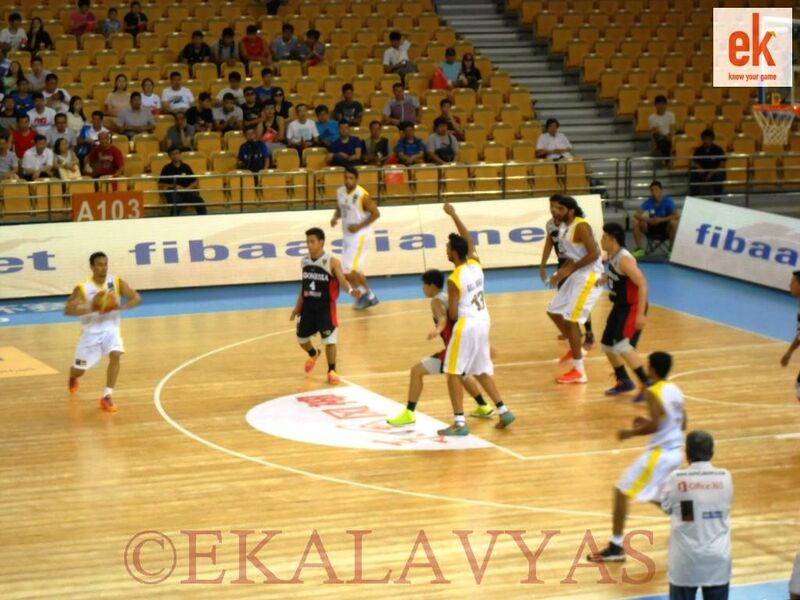 Indonesia were led by Andika Ramadhani (16) and Andakara Dhyaksa (14). 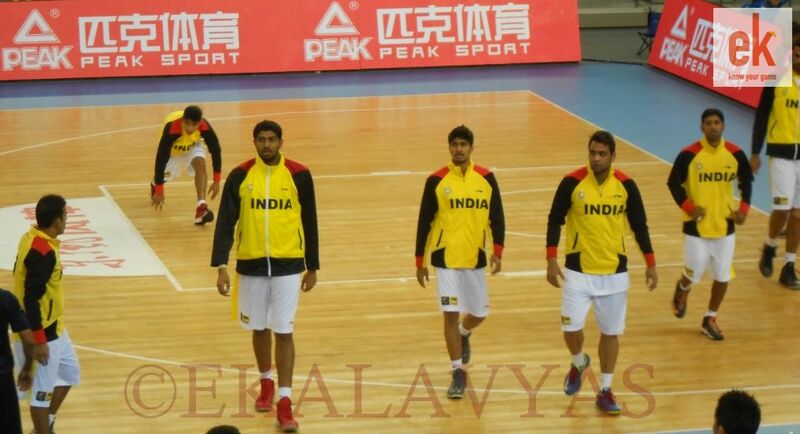 India will play the final game of the Preliminary round tomorrow (Tuesday) against Iran. Iran and India are currently tied for points (5) in the group. ….Team Blues on a go…..Now we have reasons to DREAM………. 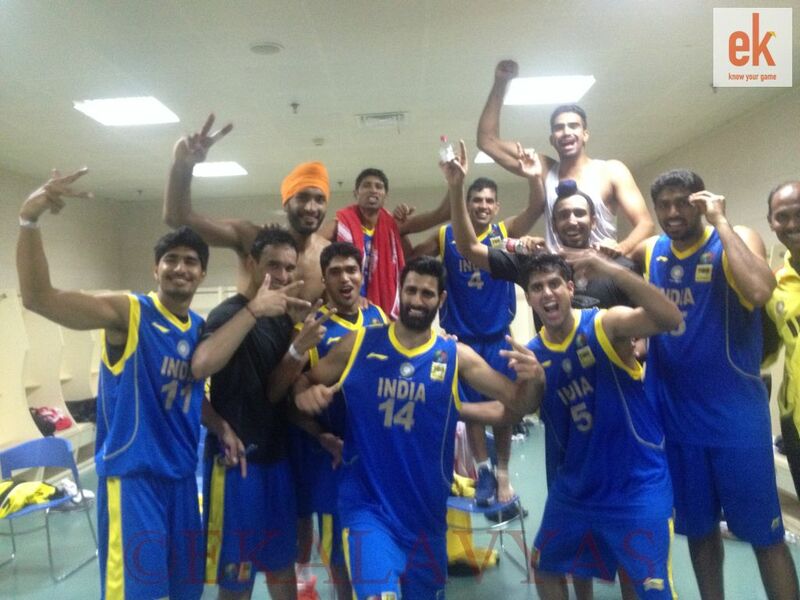 Team India made an important era in the History of Indian Basketball. 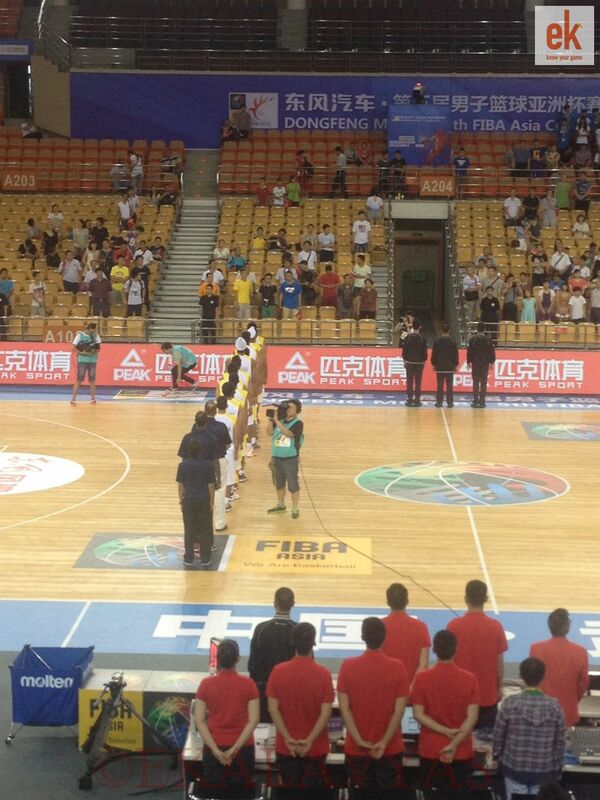 Congratulations to Coach,Players and BFI for the remarkable win against China. Hats up.Keep going! All the best for the remaining matches.